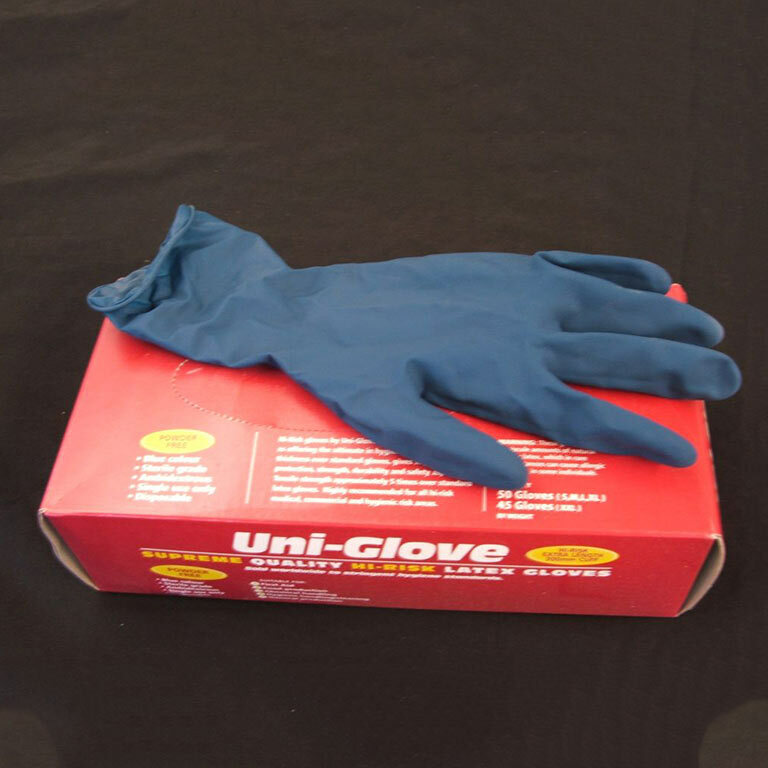 Supreme quality Hi-Risk latex gloves offering the ultimate in hygiene protection. Triple thickness over standard gloves, gives superior protection, strength, durability and safety aspects. Tensile strength approximately 5 times over standard latex gloves. Highly recommended for all hi-risk medical, commercial and hygienic risk areas. Suitable for First Aid, Food production, Chemical handling, Hygiene handling/cleaning and General production.